Amitabh Bachchan, Abhishek Bachchan, Yami Gautam et al. "Sarkar 3" looks at power and its attraction as the primary basis for human conflicts. The plot once again deals with multifacetecf Crisis in Subhash Nagre's (Amitabh Bachchan) life. 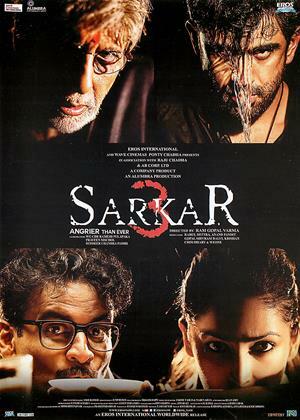 The introduction of new characters that are set to create havoc in Sarkar's life from outside his circle - Govind Deshpandey (Manoj Bajpayee) who plays Sarkar's rival political opponent, Annu Karkare (Yami Gautam) out to seek revenge on Sarkar by using Cheeku (Amit Sadh), Sarkar's arrogant grandson and Gokul (Ronit Roy), his trusted wing man...Sarkar 3 this time will see much more larger dramatic events and even larger-than-life characters set against a backdrop of one-upmanships, criminal business practices and terrifying conspiracies.